Saint Joseph School serves students in preschool through Grade 8. 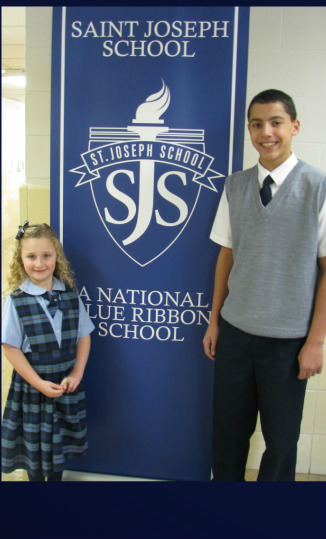 SJS was awarded the National Blue Ribbon by the U.S. Dept. of Education and combines academic excellence with strong Catholic values. CLICK HERE to see our brochure. Find out more by visiting our school website HERE.